TORONTO (Bloomberg) -- Ballard Power Systems Inc. is poised to report the first profit in its 21-year history as a public company, evidence the fuel cell maker isn't heading for a repeat of the 2000 technology bust. CEO John Sheridan, who retires at the end of 2014 after nine years in the top job, has focused on fuel cells for buses, forklifts and telecommunications towers, shifting away from car clients like Ford Motor Co. and Daimler. 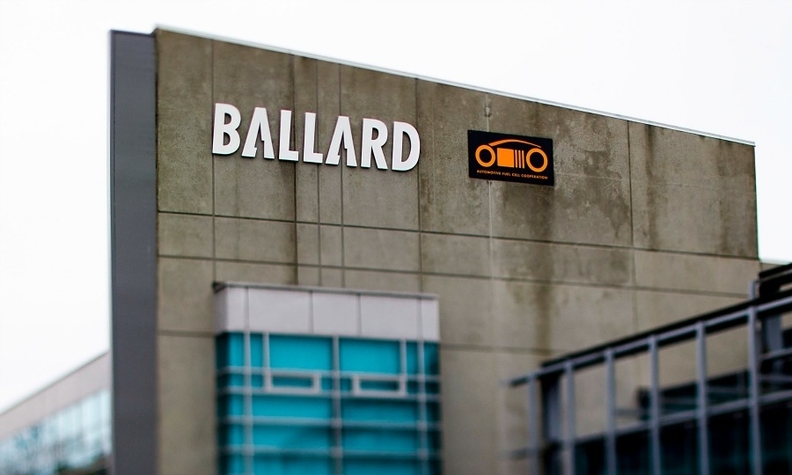 "When you think of Ballard today, it's a completely different company," Sheridan said in a March 19 interview. "Fifteen years ago, we were a one-track company. We were subsidizing r&d for the likes of Ford and Daimler and it didn't make sense." Sales at Ballard jumped 40 percent in 2013 to C$61.3 million ($55 million), the highest in three years, as gross margins improved 10 percentage points to 27 percent. The company is projecting break-even or better earnings before interest, taxes, depreciation and amortization for 2014 on an expected 30 percent increase in revenue. It has never been profitable annually on that basis, according to data compiled by Bloomberg. Ballard's stock remains far from its record high of C$192 at the height of the technology bubble. Investors at the time boosted the stock to "astronomical" levels on Ballard's projections the automobile industry would shift to hydrogen cells from traditional gasoline, said Sheridan. Fuel cells use hydrogen or natural gas to produce electricity through a chemical reaction, and offer a clean alternative to producing power from fossil fuels in conventional combustion engines. They also overcome the range problems currently seen in most electric vehicles. But according to Sheridan, the industry’s adoption of the new technology remains a "work-in-progress." "I remember the big fanfare of it, the cycle it went through and the idea that the world would be taken over by fuel cells," said Greg Eckel, fund manager at Morgan Meighen & Associates in Toronto. "It's 14 years later and we're seeing another go at it." On Wednesday, the Nikkei newspaper reported that Honda Motor Co. and Toyota Motor Corp. plan to launch fuel cell vehicles in the consumer market in 2015, with each producing about 1,000 units a year. Initial prices will likely be set below 10 million yen ($97,700), the Nikkei said, adding that Toyota hopes to cut prices to between 3 million and 5 million yen ($29,300-$48,900) in the 2020s.